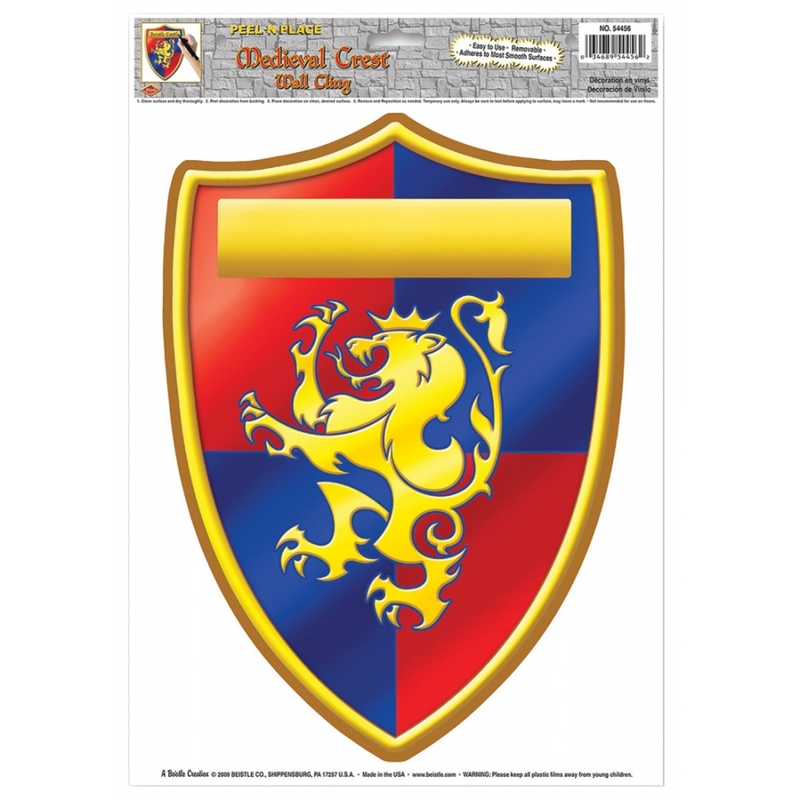 A great wall cling that would spice up any medieval event, family gathering or even a childs room. 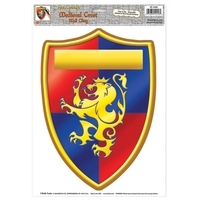 Red, Blue and Gold Crest. Item measures 12" x 17".